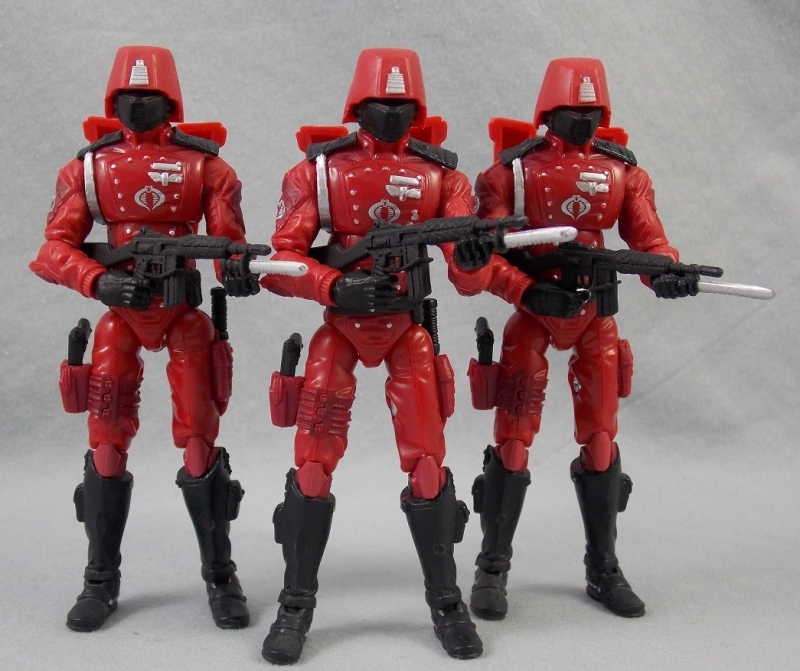 The Crimson Guard is probably my favorite Cobra troop. The 1986 Viper, Snow Serpent and Iron Grenadier are up there too, but the CG is the one that I dreamed of army building as a kid. 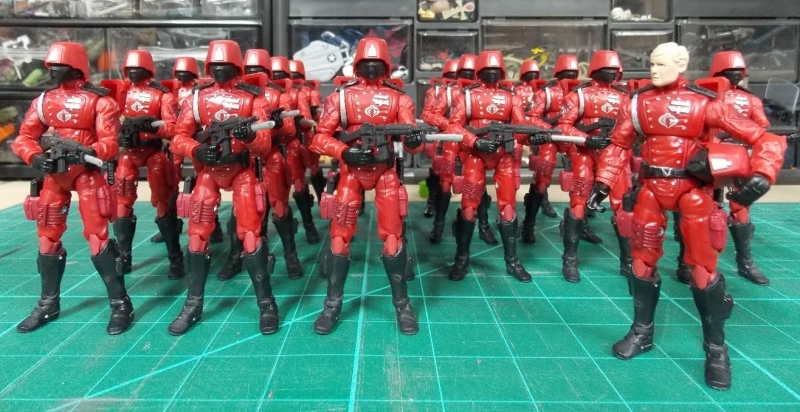 Everything about the original figure is awesome, from the dark red uniform, the cool helmet, the ceremonial gold details and the rifle. I have been hoping that Hasbro would release an ultimate vintage-accurate Crimson Guard, but that has not happened. The 25th was a decent start. However, the skinny legs, simian helmet and washed-out red hue weakened it. In the Retaliation Ultimate wave, we got a different version. The helmet and the red were improved. However, the lower legs and knees were changed for weaker ones. I decided to combine both figures to attempt to improve them. My goal was make a figure that was heavily inspired by the vintage figure. Because I'm a bit crazy when it comes to army-building, I had enough parts to make 21 figures. 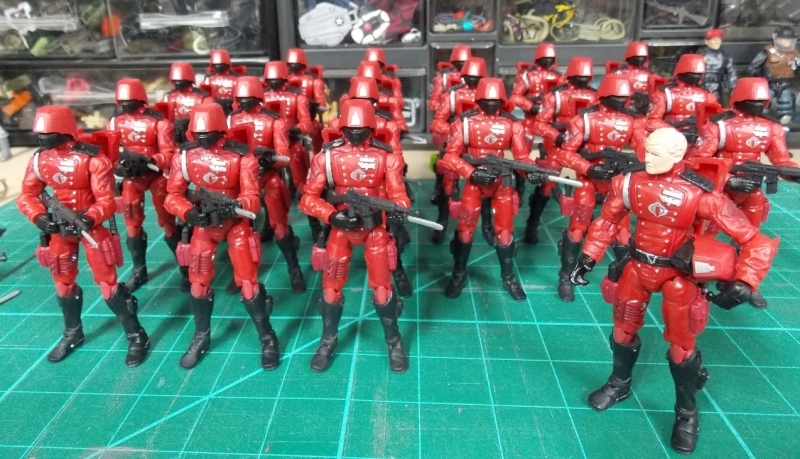 I set them up in 4 rows of 5, that left one to transform into an officer.